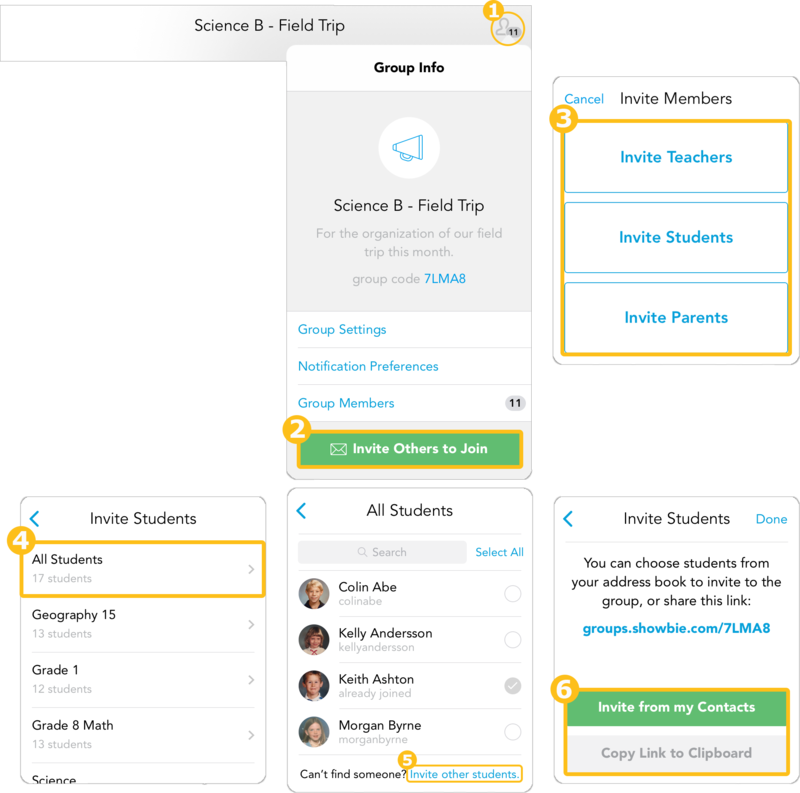 Anyone can join your group using a code. Here's how you can invite them. 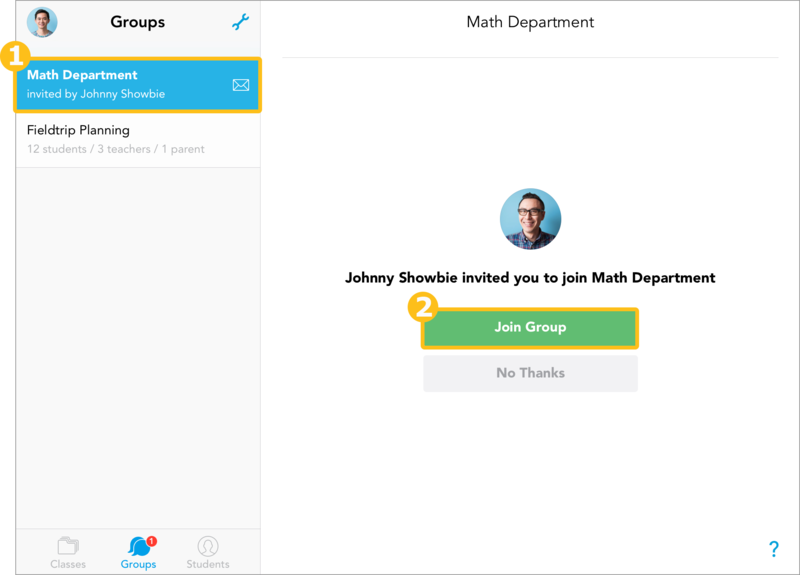 Share your group code with others and invite people to join a group even if they don’t have a Showbie account yet! It’s not necessary to send an invitation in order for others to join, but it’s a convenient way to share your group code with people you’d like to join. Don’t see any contacts? Please make sure you’ve granted Showbie permission to access your contacts! Here’s how you can adjust your permissions.